Need a break from the hectic work week? Is cost getting in the way of making your perfect weekend getaway a reality? We’ve not only listed how you can have the perfect weekend energy boost, but you’d still be within budget. 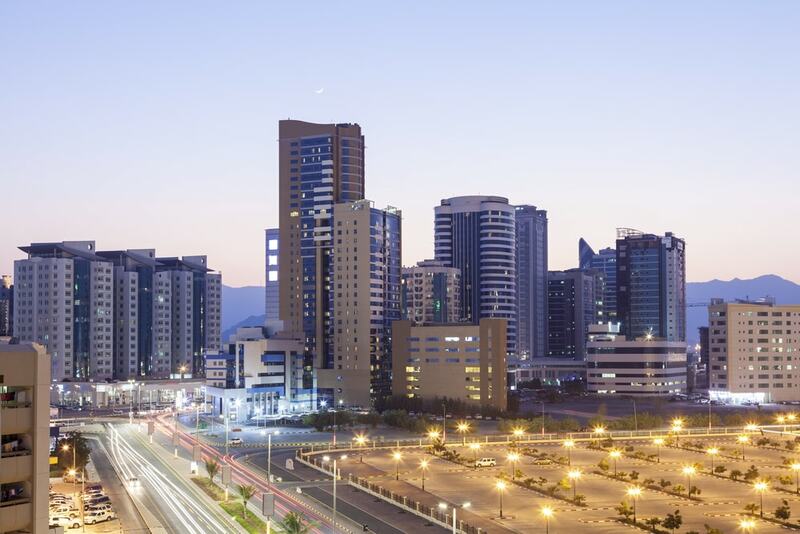 Explore the exciting desert destinations of Fujairah! 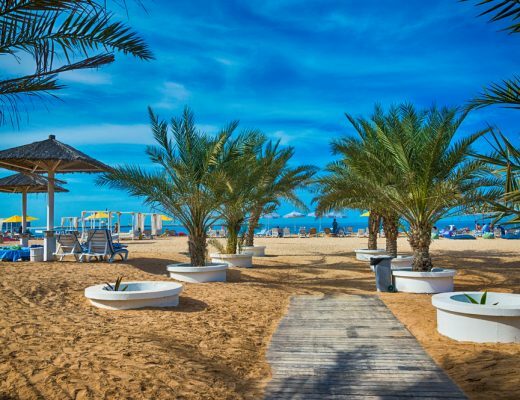 For tourists, Fujairah is a laid-back place away from the busy Dubai lifestyle and for UAE residents, it’s a weekend getaway with its white exotic beaches, a beautiful coastline for scuba diving and sunbathing plus the city is close to the Hajar Mountains where there’s a lot to explore! Located 35K north of Fujairah, Al-Bidyah Mosque is the oldest in the UAE and was named after the town it was situated in. The architecture of this historic house of worship is advanced for its time. The mosque consists of a prayer hall with arches and has a mihrab (prayer niche) pointing to Mecca. Excavation around the mosque reveals that it’s been inhabited for 4,000 years and a large Islamic graveyard to the north contains a tomb dating back to the Iron Age, which has fragments of pottery, metal arrowheads, and other artifacts from least 1000 BC. So, if history is your thing, don’t miss out on this one! 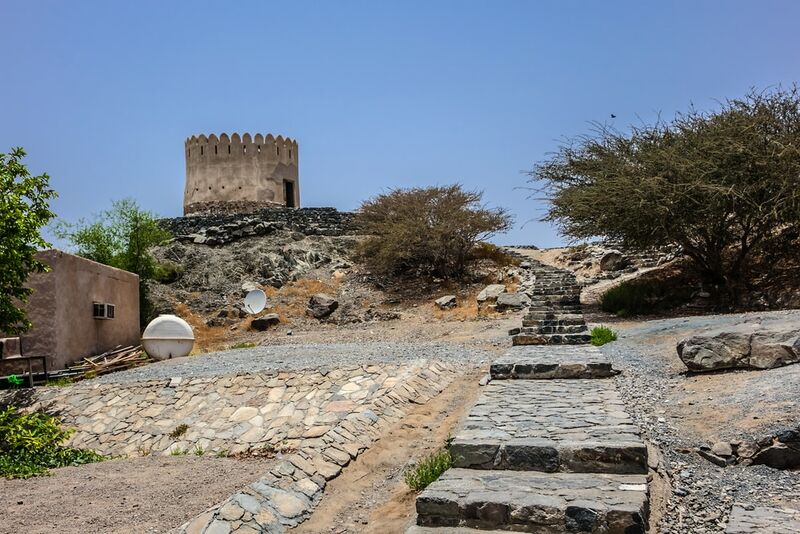 Considered the oldest fort in the UAE, Fujairah Fort was built in 1670 and survived a British attack early in the 20th century. It was both a defensive building and a home for the ruling family and for many centuries, it was the only stone building along the coast. 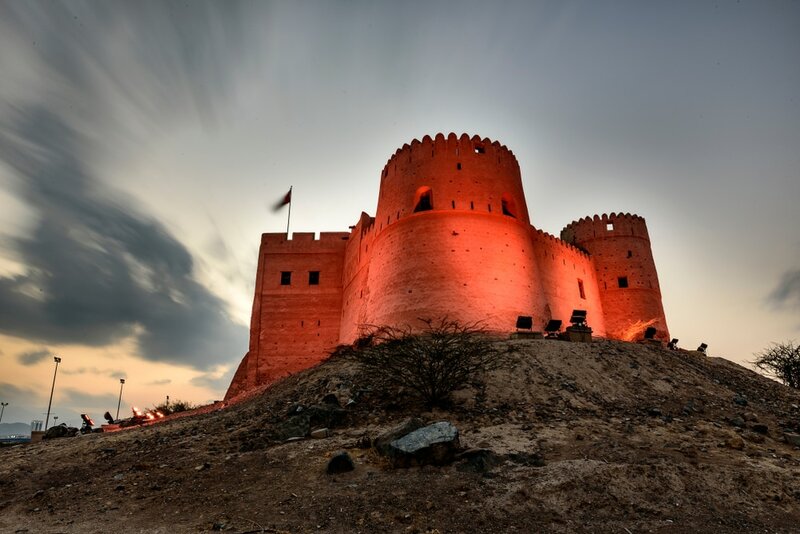 The fort has been restored from the damages of the attack and the area surrounding it is now part of a heritage Village where you can see restored old houses, features of traditional life, and witness the Al Yazrah irrigation system that farmers previously used. Just south of Fujairah Fort, the Fujairah Museum has an exciting collection of artifacts from the early Bronze Age and Iron Age that were found in archaeological digs at Qidfa and Exhibits include weapons, painted pottery, carved soapstone vessels, and pre-Islamic silver coins. The pride of the museum is a bowl made from ostrich egg that goes all the way 2,200 years back! 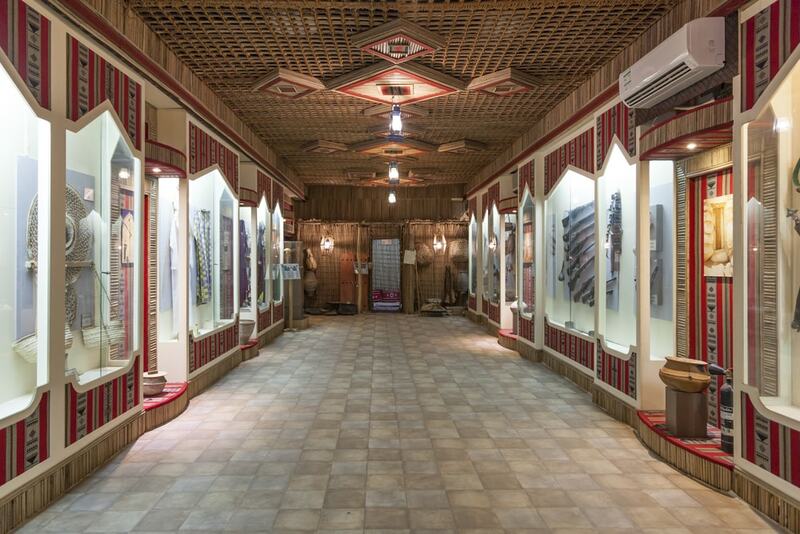 There’s also an ethnography section with displays of traditional Emirati daily life. Located in the heart of Fujairah city, this modern architecture mosque is as big as three football pitches! A totally of 6 minarets that tower about 100ms high each give the mosque its iconic and breathtaking grace and majestic aura. 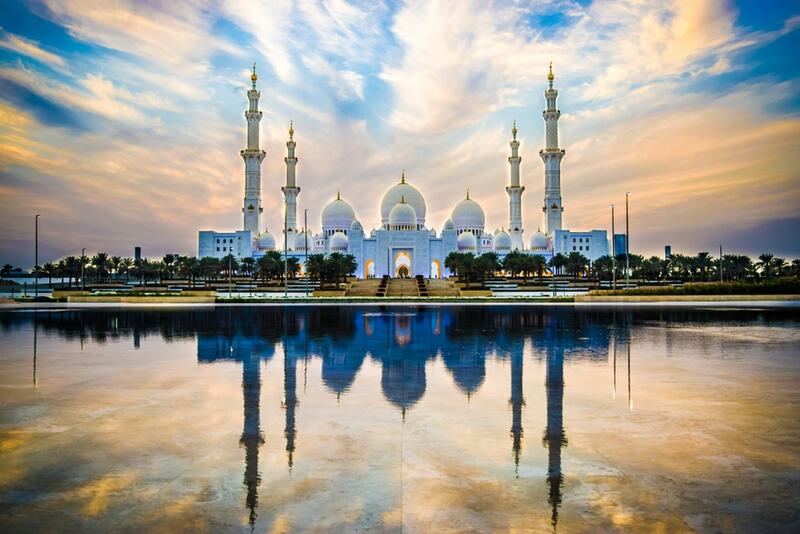 It includes a massive prayer hall that can host 32,000 people and it is with no doubt a landmark that you don’t want to miss since it’s the second biggest mosque in the country after the Sheikh Zayed Grand Mosque of Abu Dhabi. 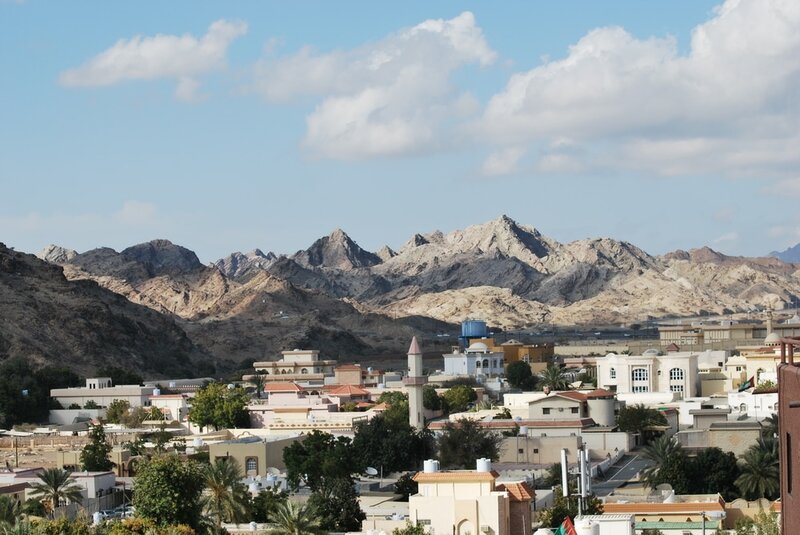 At the border with Rah Al Khaimah and about 33kms northwest from Fujariah and on the very edge of the Hajar mountains stands the small village of Masafi. 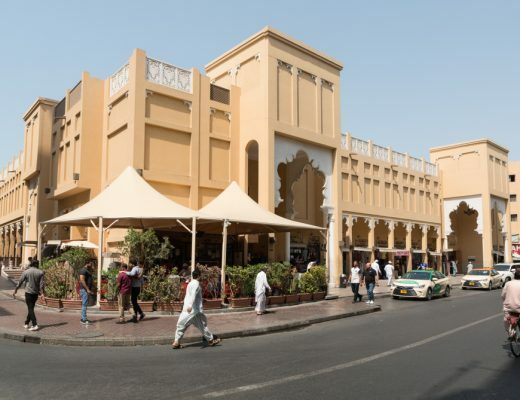 It was known to be a centre of trade post and a refuelling stop before the GCC’s highways was built in the 1970s. Masafi is well known for its natural springs and it is home to the region’s leading mineral water production company which also named Masafi. The local market is also famous for selling authentic carpets, local antiques and crafts and you can get very good bargains there. It’s on the Dubai-Fujairah Road as you approach Masafi and cannot be missed! Stay at OYO 137 Clifton International Hotel at the best possible prices, in the comfort and luxury of the finest 4-star hotel and the spectacular room views! It’s centrally located on Hamad Bin Abdulla road, is kid-friendly, has both an indoor and outdoor pool and offers a variety of dining options. The rooms are exceptionally large with a variety of in-room dining and laundry services. You can also dine at Fujairah’s best restaurants such as Al Meshwar, on Hamad Bin Abdullah Street, which is great for kids and offers a casual setting with the best in Arabic cuisine from lamb chops to a succulent traditional Biryani and also dig into the local seafood fresh catches at the Fresh Fish on Corniche Street 101 – Dibba Al Hisn and enjoy the Mideastern grilled and fried fish options after a day sunbathing and swimming on the white sands and beautiful coasts of sunny Fujairah.